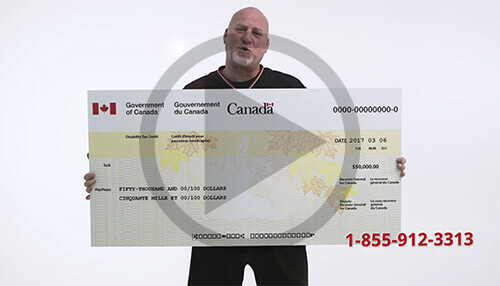 Claim up to $50,000 from the CRA. The National Benefit Authority Has Handled The Most Disability Tax Cases In Canada! We’ve Helped Over 40,000 People Receive The Disability Tax Credit They’re Entitled To. 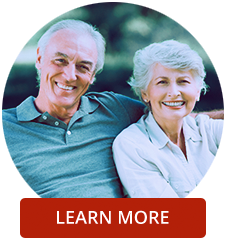 Thousands Of Canadians Have Successfully Received Money Through The National Benefit Authority. We Have Over 100 Employees Available To Assist You 12 Hours A Day. You Could Be Eligible For Up To $50,000 With The Disability Tax Credit! Many Canadians With Disabilities Are Unaware They Qualify For Substantial Sums Of Money From The Canada Revenue Agency. The Disability Tax Credit is our specialty! The National Benefit Authority is the country’s largest service provider of the Canadian Disability Tax Credit (DTC), a Canadian disability benefits program that provides relief for disability costs and living expenses. Over 40,000 Canadians have entrusted The NBA to manage the medical and financial aspects of the DTC through each stage of the complex Disability Tax Credit application process. We have the experience, knowledge, and resources to help you receive every dollar you deserve. Best of all, if we don’t succeed in recovering your disability tax refund or credit, you don’t pay a cent. Guaranteed. When you apply for the Disability Tax Credit, the Canada Revenue Agency (CRA) will review your eligibility by approving or declining your T2201 form. Once your application is approved, you may be eligible for a retroactive Disability Tax Credit refund for up to 10 years. Your Disability Tax Credit application must be prepared to the precise specifications required by the CRA – even a single error can make a claim void. With over 40,000 successful DTC claims worth millions of dollars, we’re the top choice to assist with the completion and submission of the Disability Tax Credit in Canada! Who Qualifies for the Disability Tax Credit? Learn More. Looking for a Disability Tax Credit Calculator? Click Here. The Registered Disability Savings Plan (RDSP) is designed to provide financial security and stability for aging Canadians with disabilities. Families can use the RDSP to provide loved ones with disabilities peace of mind for their future through significant benefits from the Government of Canada. To apply for the RDSP, you must be approved for the Disability Tax Credit first. At the National Benefit Authority, we’re committed to getting the disability benefits for your condition from the CRA. We help you complete any Disability Tax Credit forms, educate and inform your doctor about the Disability Tax Credit eligibility requirements, and liaise with the Government of Canada directly to get you the Canadian Disability Tax Credit amount you deserve. Even if your claim is denied, our job doesn’t end there. We’ll file appeals and objections when necessary to get your deserved Disability Tax Credit refund. Not sure of you qualify for disability credit? Fill out an application to determine your Disability Tax Credit eligibility. Let us work to get YOU money! "To the NBA, I would like to thank you kindly for all the work you did for me, the money has helped in my treatment of colorectal cancer. 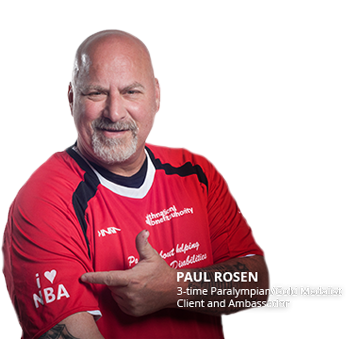 Your kind staff could sure help other companies on how to treat clients…….amazing people that work at the NBA. Again thanks kindly..."
Join the thousands of Canadians that’ve turned their lives around by successfully claiming their Disability Tax Credit! The National Benefit Authority has helped over 40,000 Canadians like yourself qualify for up to $50,000 from the Canadian Government in disability benefits. Let us work to get YOU the real money you’re entitled to! 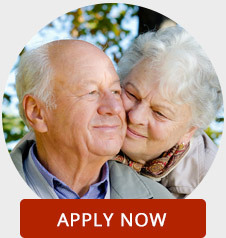 Helping Canadians Qualify for up to $50,000* from the Canadian Government! Many Canadians with disabilities are unaware they may qualify for substantial sums of money from the Canada Revenue Agency. At the National Benefit Authority, we specialize in a Canadian disability benefits program called the Disability Tax Credit that allows us to recover up to $50,000 for your disability costs and living expenses. We put in the work and due diligence to recover every dollar the CRA owes you. Disabled adults can claim up to $20,000 for the DTC through Form T2201 (Disability Tax Credit certificate), and a disabled child can claim up to $50,000 for the DTC based on the province they are in. We’ve successfully processed thousands of claims for virtually every kind of physical and mental disability – depression, learning disabilities, addiction, anxiety and more. Even if you’re already claiming the Disability Tax Credit, we’ve helped people recover thousands in additional disability benefits! If you’re unsure whether you’re eligible for the Canadian Disability Tax Credit, or other disability savings plans such as the RDSP, our many qualified specialists can assist you with that too. We will be happy to answer all of your questions! For more information or to apply for the Disability Tax Credit, call us now at 1-888-389-0080 or fill out the form below. Start your Disability Tax Credit application process today! We Do The Work For You! 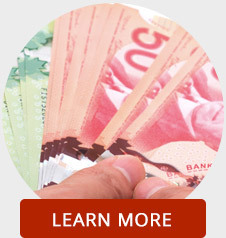 We help Canadians receive up to $50,000 from the government! You receive the largest possible Disability Tax Credit for your unique situation. All submissions and paperwork are properly completed. The process is fully explained to all involved participants. You’re not alone to deal with the CRA.